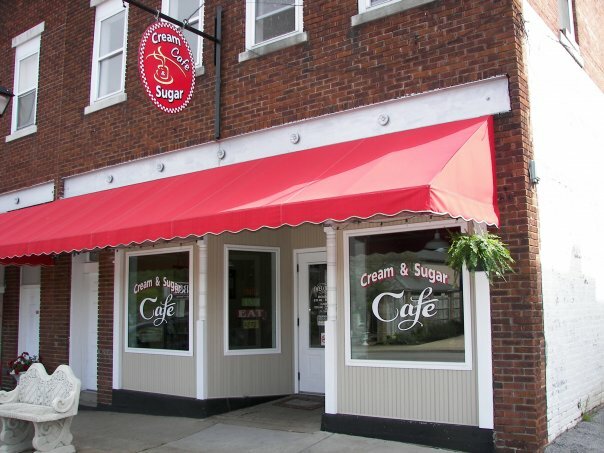 Cream & Sugar Cafe, at 105 Broadway Street in Cave City, will be offering its delicious food with fresh ingredients at a 10% discount for an entire year to all Bowling Green International Festival 2011 Restaurant Discount Card holders. Cream & Sugar Cafe offers homemade soups, salads and treats. They have a Facebook page at www.facebook.com/pages/Cream-and-Sugar-Cafe-Cave-City-Ky/111214068309 and a website at www.thecreamandsugarcafe.com. Cream & Sugar Cafe has become a new festival supporter by committing to the festival’s Restaurant Discount Card. Cards will be sold for $5 at the festival gates and information booth (near the fountain) when the Bowling Green International Festival is held on September 24, 2011 from 9 a.m. to 7 p.m. at Circus Square Park in Bowling Green, Kentucky. Admission to the festival is $3 (children under 12 free) but, Restaurant Discount Card holders get in for $1. The 10% discount for all restaurants on the card is good for the card holder only and does not apply to alcohol purchases. 2011 Restaurant Discount Cards are valid from Sept. 24, 2011 to Sept. 29, 2012. Area restaurants are invited to set up a booth at the festival applications for boothspace can submitted at www.bginternationalfest.com/boothspace.